If you’re a savvy consumer, you’re looking for the best Dunwoody roofing company around. Of course you are. After all, who jumps online and Googles “second best roofing company”? No one, that’s who! Well, good news: We’re betting we can fit the bill with quality roofing expertise and friendly service. Let us be your trusted roofing guide, both now and when you need the next roof, and the next, and the next and…well, that might be enough roofs for one lifetime. But still, we’re just saying: Call us. Getting a new roof isn’t fun. We understand how much you don’t love getting estimates, writing checks and undergoing home improvements when you have better things to do. The least we can do is offer the reassurance that when you work with us, you’ll only have to undergo this process once. Well, once every 20-50 years, that is. That’s what we do here at Hopewell Roofing: provide you with expertise and a job well done so that you can go back to everyday life as quickly as possible. Not only do we know our stuff, but we’ll also explain it all to you so you can make the most informed decision possible. Truthfully, we might offer you a little too much information, because we’re just that excited about our industry and your wellbeing. If that makes us roof nerds, we’re happy to accept the epithet. Ever said to yourself, “We’ll get a new roof next year”? If you have, you’re far from alone. A huge segment of the population, from homeowners to business park managers, see a new roof as an enormous expense they can safely leave to next year (maybe, probably, we’ll see, if we get around to it). The truth is, though, that as soon as your roof gets compromised, you’re setting yourself up for a world of hurt. Animals may start living in your home, water and mold may enter and do untold amounts of damage, and a poor roof can lead to secondary problems with your chimney, attic and other structures in your house. If you notice damage, or simply haven’t had your roof checked out in a while, it’s time to give the experts a call. 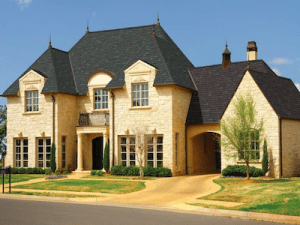 Looking for the best Dunwoody roofing company? Please come see us here at Hopewell Roofing & Restoration. Give us a call at 678.771.5372 or connect with us online, and a member of our friendly team will get back to you just as soon as possible.